Changing to a local television station for weather or flood forecasts is easy, but the work behind predicted weather patterns is far more complicated. NASA scientists working with the University of Iowa’s Flood Center know just how difficult it can be. 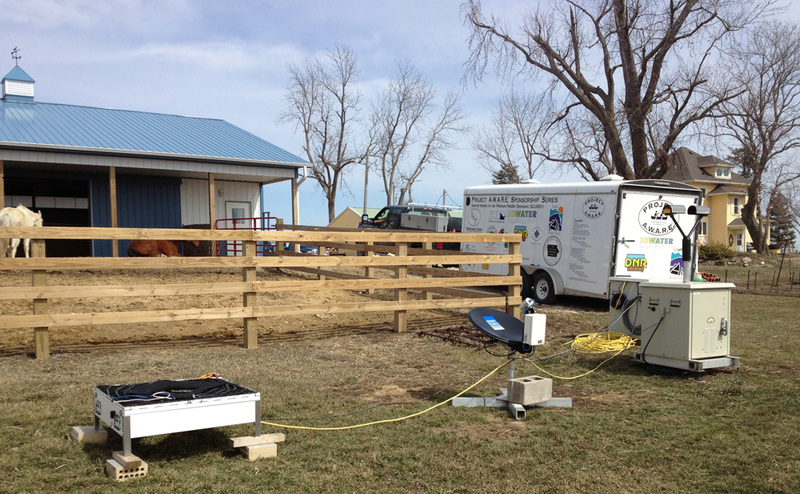 From May 1 to June 15, the researchers are conducting a field campaign – the Iowa Flood Studies experiment – that will assist in long-term efforts to measure flooding from space. With ground data collected in Iowa and future locations, NASA will be testing and further developing algorithms to reliably predict flooding using satellite data. The collective efforts are part of NASA’s global precipitation measurement mission (GPM). Accurate flood forecasts are vital to minimizing property damage, which can cost state and local governments millions. As the prediction models become more accurate, fewer ground measurements will likely be needed, saving resources used to keep ground-based stream gauges up and running. “We chose Iowa for this campaign because we wanted to start with something that was topographically easy,” said Walt Petersen, GPM ground validation scientist at NASA. A lot of the U.S. is flat, said Petersen, which makes Iowa a good starting point. Beginning there also lets the team leverage some of the expertise from the Flood Center. 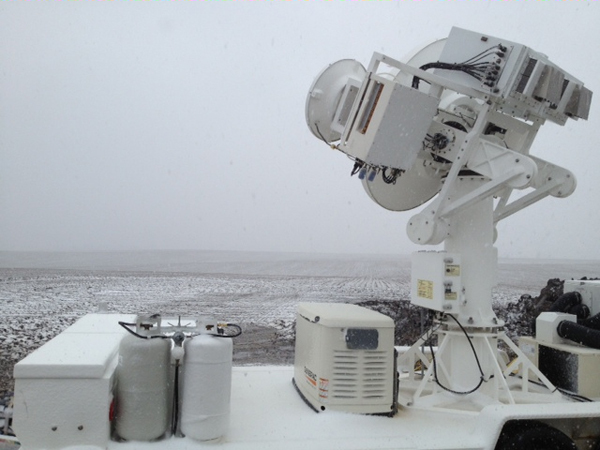 To conduct the field study, Petersen and others are comparing ground-based measurements taken with a variety of sensors to readings from numerous NASA, NOAA and even European satellites. The NASA Tropical Rainfall Measuring Mission, CloudSat, and NASA/NOAA Suomi National Polar Partnership satellites are a few examples. Suites of disdrometers, which measure rain droplet size and concentration, and rain gauges are deployed every 5, 15, 25, 45 and 70 kilometers from NASA’s two radars deployed just south of Waterloo, Iowa. The first radar is the Polarimetric precipitation radar and the second is the Dual-Frequency, Dual-Polarimetric Doppler radar. Several watersheds, including the Turkey, Cedar, South Fork, and Clear Creek basins are also instrumented with numerous rain gauges and soil moisture and temperature instruments. The gauge, disdrometer and soil moisture readings are all transmitted back to researchers via cellular telemetry. The two NASA radars track the characteristics of rain as it falls. The collected ground measurements are compared to those taken by satellites. The team makes estimates of rainfall from space using a combination of microwave, visible and infrared imaging. Petersen said the combination of all the different techniques helps pinpoint locations of rainfall. This isn’t the first to work toward estimating flooding from space. Past missions have made key findings for the current research. Future field missions are slated for areas near Asheville, N.C. and the Appalachian region in 2014, where Petersen said the mountains cause numerous types of clouds and a greater challenge for satellite measurements. In 2015, the GPM team is planning to head to Washington State’s Olympic peninsula, where the Pacific Ocean’s cold surface and frequent Pacific storms lead to large amounts of rain, sleet and snow. NASA is partnering with the Japan Aerospace Exploration Agency (JAXA) to launch the GPM Core observatory satellite for the global precipitation mission in 2014. The current field studies are just the first step toward that goal.